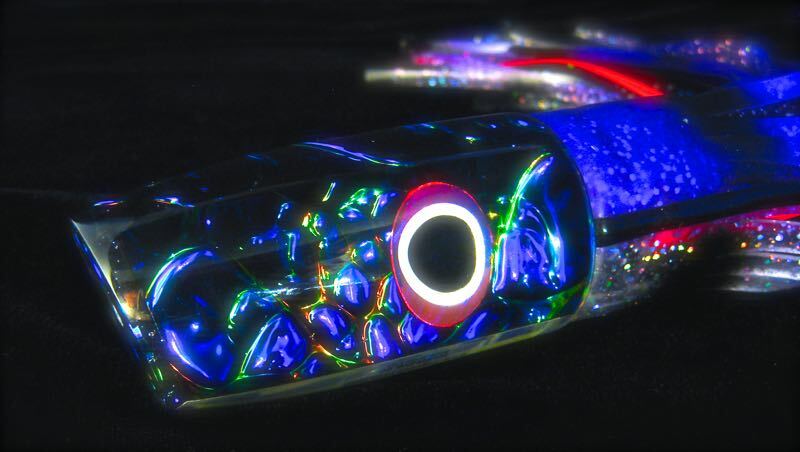 The Basilisk is one of our best selling lures, no matter what size or finish it is made in. 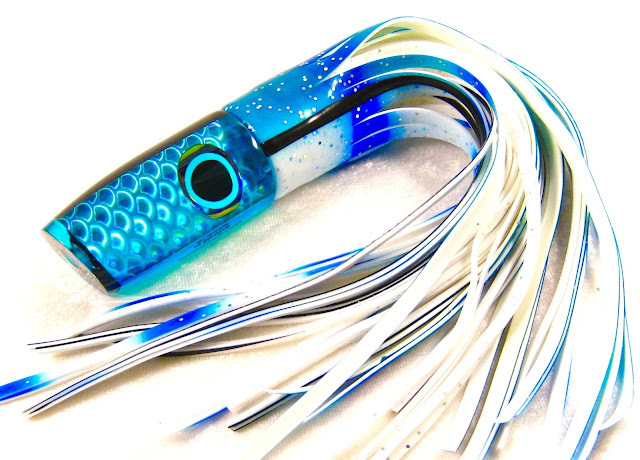 It's a generic, solid-performing super-plunger, which is excellent when run off the riggers. The action is a great slicing splash, followed by a long shimmering bubble-trail. 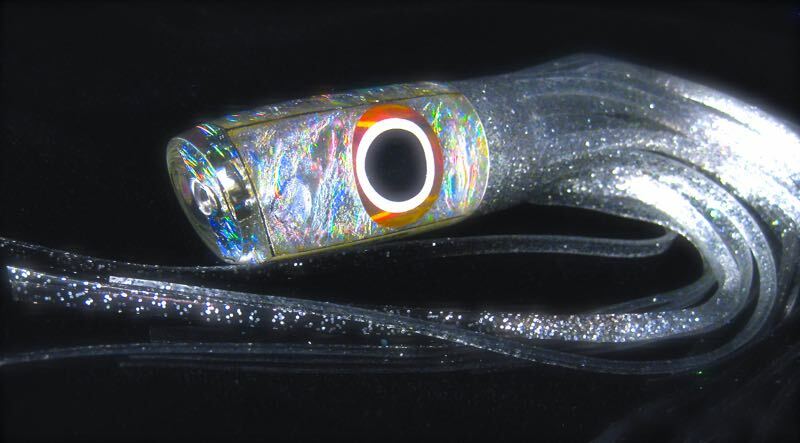 It's a wonderful imitator of active and long surface baitfish. 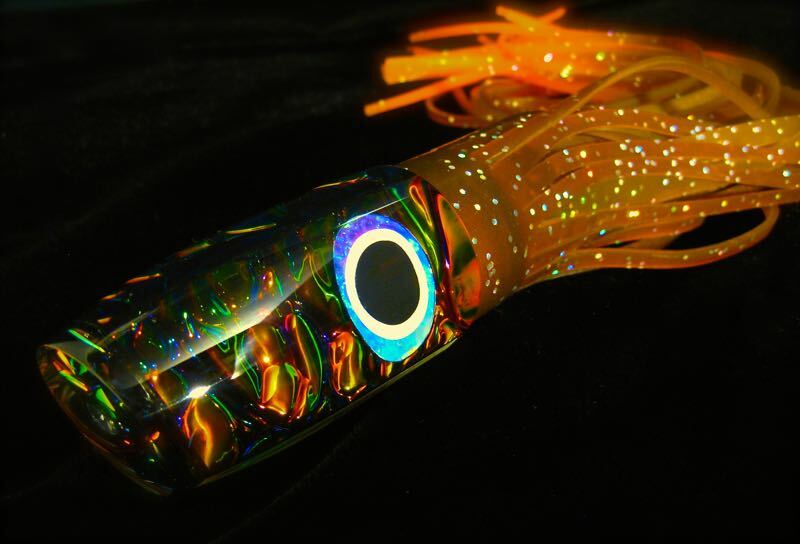 Normally run as a long corner or rigger bait, the Basilisk can also be used on the short corner. It excels in most water conditions and can be run effectively up to 11 knots. There is a size suitable for all classes of tackle, 20 -130lb. This plunger has a smaller face and less angle than many others on the market, allowing it to be used in rougher conditions than most. It also swims with a much smoother action, which we think creates better hook-up ratios. It is a favourite of many captains in the Atlantic, the Bahamas, the Caribbean, Australia and New Zealand.